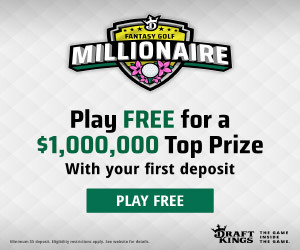 The Farmers Insurance Open is when the field usually starts picking up and some of the best players in the world get geared up to play at the famous Torrey Pines courses along the coast of California. 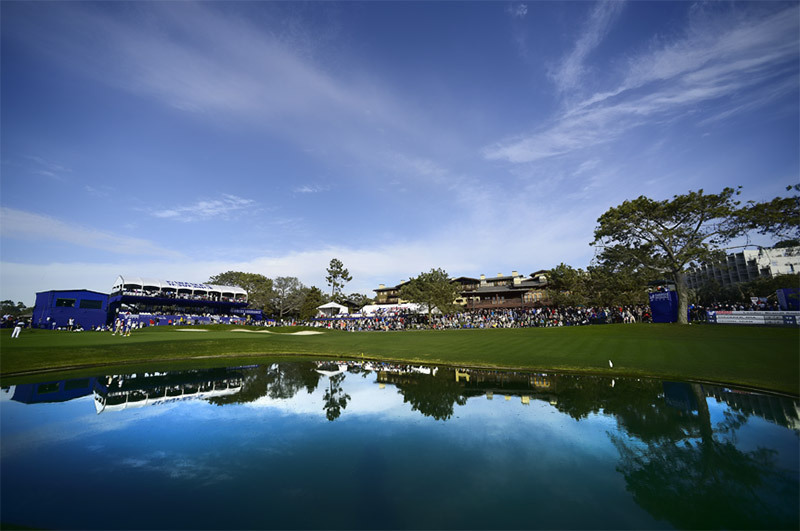 The tournament takes place over two courses with players playing once on the North Course and 3 times on the South. The scenery at both courses is amazing and adding to the intrigue is the fact that Tiger Woods usually makes his 1st appearance of the year at this event. The South Course at Torrey Pines is an absolute monster and ranked the #1 longest on the tour last year. It was re-designed in 2001 with 400 yards added and actually had the honour of hosting the US Open in 2008 so you know it's a tough course. Birdies will be at a premium as the greens are fast and small made up from Pao Annua grass. Driving distance is going to be a huge factor seeing as this course is so long but accuracy of the tee as well considering the fairways are tight to hit. 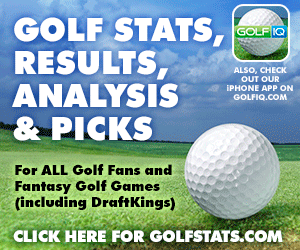 The average score last year for all 4 rounds was 72.12 so just above par. 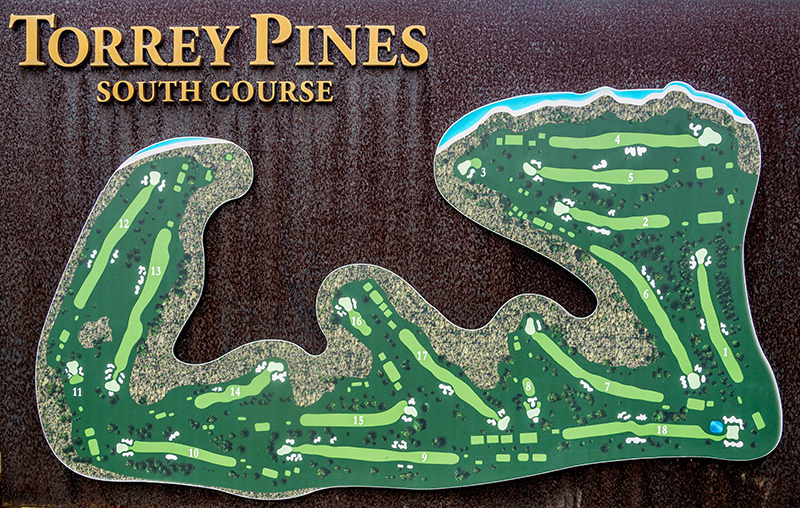 This is one of the hardest courses on the tour with breathtaking views from the cliffs along the Pacific Ocean. Water and bunkers really aren't factor, it's the tight fairways and fast greens which make this course so hard. The North course is way more friendly to play on and is much shorter ranking the 29th longest course on tour. The fairways are wider and the greens a lot more forgiving. In 2016, they added 200 more yards to the course in a attempt to make it a little more challenging for the pros. On average the South course plays roughly 3 shots easier then the North. Since they only play once on this course it is not the biggest factor but you need to drain some birdies when you are playing this course because the South will eat you up. The North Course provides even nicer scenery then the South which is why this event is one of the most well attended on the tour. Driving distance off the tee is big plus here as the South Course is the longest on tour. That being said just hitting hit long is not enough, the fairways are very hard to hit so you need to not only hit it long but straight. Guys who rank high for SG: Tee to Green should be in your fantasy research with a sprinkle of driving accuracy as well. Anytime you have a Par 5 to close out the round it makes for exciting finishes. The 18th hole at Torrey Pines is an absolute monster measuring 570 yards in distance. If the distance is not enough there is is a small pond protecting the front of the hole called Devlin's Billabong. 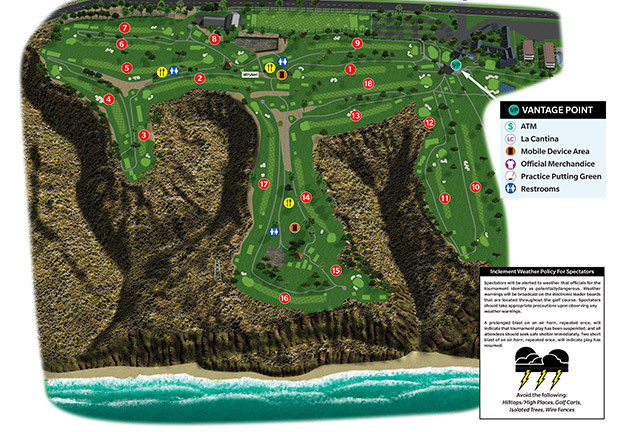 - Torrey Pines can bring a whole lot of funky weather including rain and dense fog in the morning rounds. Pay close attention to the forecast.